Ignite a sense of nostalgia with these amazing earrings oozing style and sophistication your are sure to stand out from the crowd when wearing this glamorous ensemble. 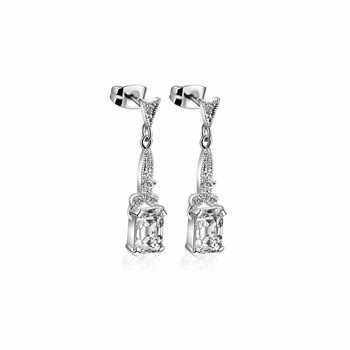 Silver plated Vintage style earrings with a protective anti tarnish layer, 10 clear Cubic Zirconia stone settings, titanium posts, butterfly backs, presented in a Newbridge Silverware gift box. Size 9mm x 20mm x 4mm.